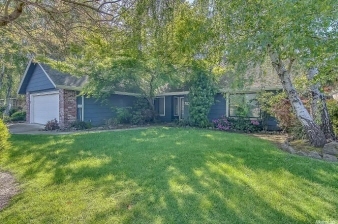 Lovely opportunity to own a large, lushly landscaped home located in Lincoln School district. Open floor plan featuring remodeled bathrooms and granite countertops in kitchen. Tile and laminate floorings in common living areas and upstairs bedrooms. Newer carpet in family room, lower level master and secondary bedrooms. French door & slider access into the spacious backyard with mature trees makes it easy to entertain. Come and see all the details this family home has to offer.